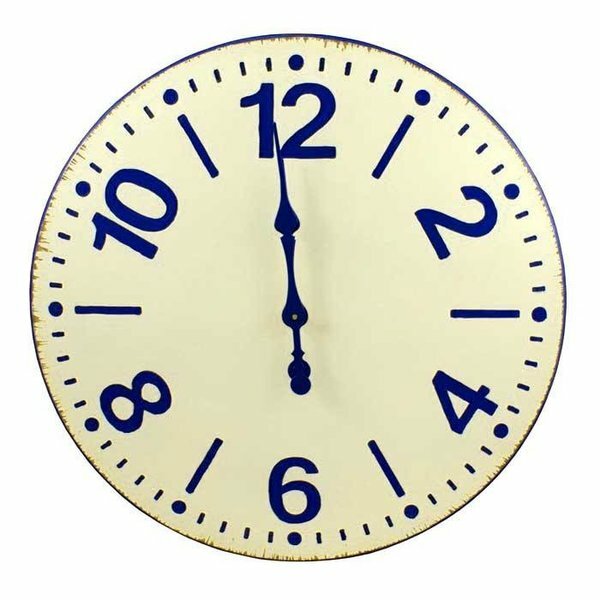 The Somerwick Wood Clock has French blue numbers marking the hours at 12, 2, 4, 6, 8 and 10. 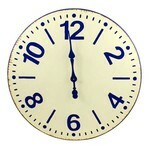 The cream clock face has an appealing lightly distressed finish. 28" diameter.